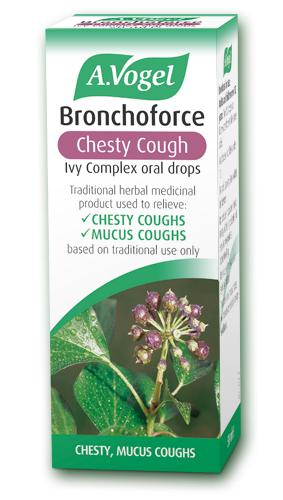 Bronchoforce is a herbal remedy containing extracts of liquorice and freshly harvested Ivy and Thyme. 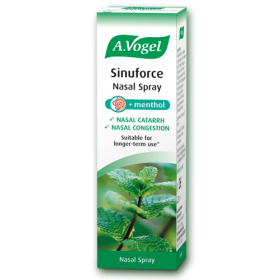 At A.Vogel, we insist that only freshly picked Ivy and Thyme are used to make Bronchoforce. 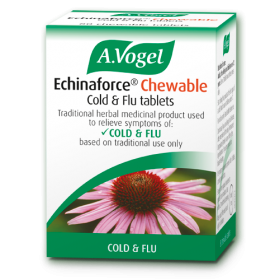 This ensures that the remedy obtained contains the active ingredients* that help relieve a chesty cough. 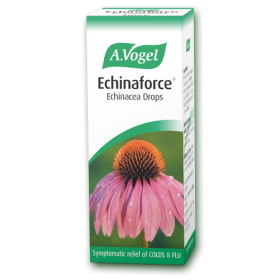 Bronchoforce also contains Star Anise oil and Eucalyptus oil. 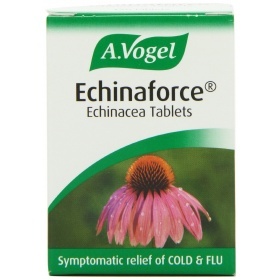 Bronchoforce may be used by children (over 12 years of age), adults and the elderly. 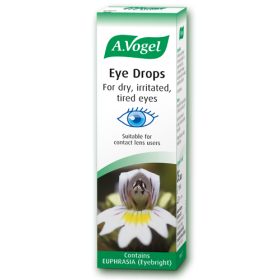 Take 20 drops 3 to 5 times daily. 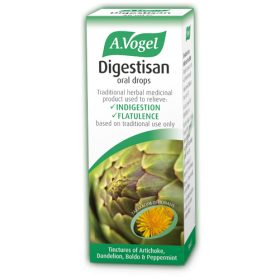 This herbal remedy is for oral use only. Do not take more than the recommended dose.